Welcome to yet another shameless personal self-promotional web site on the world wide web! With today's ease of creating a web site coupled together with companies like godaddy.com that can create and host your site for a very small fee, these types of web sites have been springing up everywhere. Well, you should rest assured that www.anirbanroy.org is more than just one of these sites. Since 1996, I have created and maintained my web site, not only for the occasional self-promotional message, but as a medium where people can share conservative political discourse along with an award winning Dallas Cowboys Fan Site. With all the other conservative sites out there today, I no longer have the "Conservative Edge" portion of this web site active, but I do have some pictures of my days in politics during college including pictures with famous politicians. Who exactly is Anirban Roy? If you ever watched Mr. Roger's Neighborhood, I am the 11 year old boy who was featured on a music shop segment back in 1989 teaching the young audience at home how to play the "c" chord on the guitar. Or, I am the former "straight A" student in high school who was president of almost every club I was part of in high school as well as decent actor in two theaterical productions. I am also the one who founded my fraternity back at UC Davis in 1996 and was chairman of three political organizations on campus. Moreover, I am the one who brought in the largest deal for my first company out of college and went on to lead the VOIP team at that company. Actually, that is only one of many accolades I have in my professional life. I worked for prestigious organizations like the Lawrence Livermore National Laboratory and Schering-Plough (Merck) Pharmaceuticals. I was even elected to a county position in 1998. 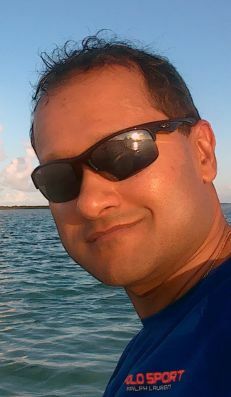 I am also a world traveller having been to Asia, Europe, the Caribbean, Central America, and South America. Moreover, I have been to 45 of our beautiful states. Today, I am a very content young professional working for a large European pharmaceutical company as a Respiratory Business Specialist. Since 2005, I have found my calling as a pharmaceutical sales representative and worked for two great companies. I live in Sacramento, CA and am a huge sports fan. My loyalties in sports are to the Dallas Cowboys, Dallas Mavericks, Texas Rangers, and the Dallas Stars. You might wonder why a CA resident supports Texas teams! Well, I grew up in Plano, TX as a youngster, and I love the great state of Texas. Actually, I grew up all over this great country of ours. I lived in Ohio, Pennsylvania, Texas, New Hampshire, Nevada, and California! Thus, I have a large network of friends from all over the US. I am very active, enjoy playing tennis, and love water sports as well. I joined a COED softball league in 2012. I mostly played 2nd or 3rd base, and I finished the season hitting .600 after starting off hot with a .857 batting average through the last game. Moreover, I am a member of the Natomas Racquet Club in the Sacramento area, and I love both tennis and racquetball. I believe in living life to the fullest every day. Life is a precious gift, and every day on this earth should not be taken for granted. Whether it is fine dining, enjoying a good wine, or occasionally having a Cuban cigar, one must savor the finer things in life. I am a big whiskey and bourbon lover, and I am an "ambassador" for Maker's Mark too since I have a barrel with my name on it maturing in one of their rickhouses back in Kentucky. Like I said earlier, traveling is a big passion of mine. Since I work for an European company, I get over six weeks of vacation each year. As a result, I have the time and fortunately the resources as well to travel all over the world throughout the year. In 2019, I plan on going to Peru, Barbados, and Taiwan for my international trips. 2018 marked many milestones in my life. For one, I turned 40 on May 19, 2018. I celebrated my two bachelor parties as I embarked on the next big adventure in my life. I got married to my wife, Joy Ng, on August 11, 2018 in a beach ceremony at the Pueblo Bonito Rose Resort in Cabo San Lucas, Mexico. Joy and I went on our honeymoon to the amazing Turks & Caicos Islands in the tropical Atlantic. As we enter 2019, my life is good. Cheers and thanks for visiting my web site. 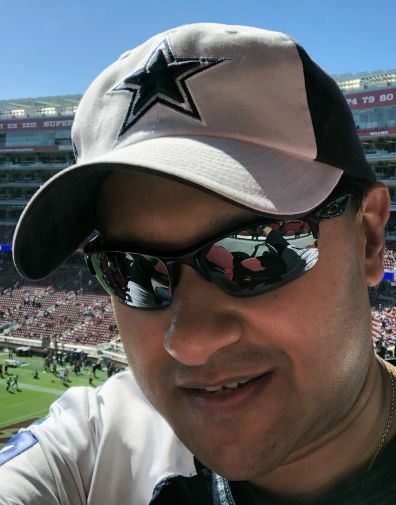 So, enjoy all the up to the minute Cowboys stats, roster updates, and cheerleaders page along with all the information you could ever care to know about Anirban Roy. If you like what you see or would like to drop me a line, feel free to at anirban@anirbanroy.org.